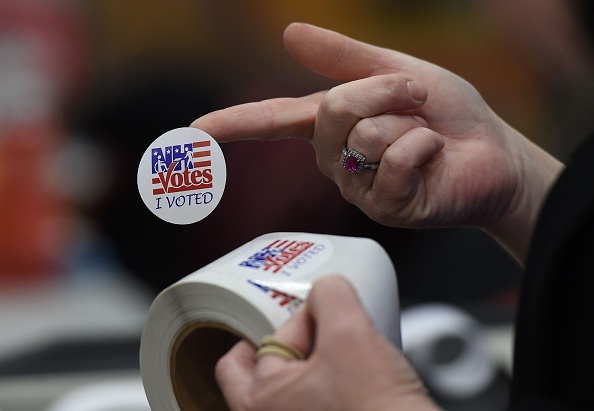 Voters in New Hampshire went to the polls yesterday to cast their ballots in the nation’s first primary election. Donald Trump and Bernie Sanders both won big. Among Republicans Trump took 35 percent of the vote. Sanders defeated Democrat Hillary Clinton by more than 20 points – partly because of his strong support among women and young people. New Hampshire voters injected new life into the campaign of Ohio’s Republican Governor John Kasich who came in a distant second to Trump. Analysis of the New Hampshire primary and what it could mean for presidential hopefuls moving forward. MS. INDIRA LAKSHMANANThanks for joining us. I'm Indira Lakshmanan sitting in for Diane Rehm. She's be back tomorrow. Donald Trump for the GOP and Bernie Sanders for the Democrats were the big winners last night in New Hampshire's primary, beating their second-place finishers, John Kasich and Hillary Clinton, by double digits. MS. INDIRA LAKSHMANANJoining me in the studio today to talk about the primary results and what they mean for the 2016 race for president, Norman Ornstein of the American Enterprise Institute and Susan Glasser of Politico. And from an NHPR studio in Concord, New Hampshire, Daniel Barrick of New Hampshire Public Radio. MS. INDIRA LAKSHMANANIf you would like to join us, you are always welcome to call in on 1-800-433-8850. You can also send us an email to drshow@wamu.org. You can join us on Facebook or send us a tweet. Welcome, everyone. MR. NORMAN ORNSTEINGood to be with you, Indira. LAKSHMANANSo let's start with you, Daniel. You were on the ground there in New Hampshire. Tell us what you saw last night, how was the turnout, what was the level of excitement among the voters on both sides. BARRICKWell, excitement was big. Turnout was big. I believe it set a record. And in terms of the results, you know, in one way, it was no big surprise, the Sanders/Trump wins confirmed the assumptions based on polling, just general sense of the campaign narrative for quite some time. I think what was surprising was really the breadth and the sweep of both wins in both parties. BARRICKSo if you look at exit polls, you see both Sanders and Trump really won up and down the board in terms of New Hampshire, based on the voters ideology, based on education level, based on whether they were registered with their party or independents, based on income. And if you look at just the geography of the state and compare the wins in either party with, say, recent primaries, the '08 Obama/Clinton campaign or '08 McCain/Romney campaign where in those earlier races, you know, you saw very strong divide in the state between places where Obama won and places where Clinton won. BARRICKSanders really, you know, New Hampshire is awash with Sanders, when he won on those more conservative or moderate Democratic communities that Clinton won eight years ago and he won in Democratic strongholds. Same thing with Trump. He won in place, you know, more mainline Republican areas that Mitt Romney won eight years ago over McCain. So I think it's really the breadth and the sweep of the wins that is really somewhat surprising this morning. LAKSHMANANAll right, Dan. Let's drill down a little bit on those exit polls that you mentioned. What kind of voters went for Donald Trump and Bernie Sanders in such large percentages and based on what specific issues? BARRICKWell, like I said, I mean, I think if you look -- say you look at the age demographic. Let's look at Sanders. He won every age group, except for those 65 or older, over Clinton. He won both moderates, you know, self-described moderates, and self-describe liberals by fairly similar margins. He won big among independents. You know, that's that big block, the largest single voter block in New Hampshire, almost half of voters are registered independents, which means they can participate at their own choosing in either party's primary. BARRICKHe won, I think, something like 70 percent or so of independents who vote in that primary. And in terms of issues in that race, I mean, it's no surprise his broad economic inequality message that he's -- I mean, essentially in New Hampshire, he's been giving the same stump speech for months, the sense that the economy is rigged to the disadvantages of average Americans and then playing that out in terms of more specific areas in terms of college costs. BARRICKI mean, that's a big issue here in New Hampshire, the cost of public higher education in New Hampshire is among, if not the highest in the country, very high levels of student debt among New Hampshire college students. That really hit home with folks in a real practical way. Trump, too. I mean, Trump won among independents in New Hampshire who voted in the Republican primary. He won among registered Republicans. BARRICKHe won among all income levels. He won, generally speaking, across the geography of the state. And I think like on the Democratic side, the big issue weighing on voter's minds in GOP race yesterday were primarily economic anxiety and it played out, you know, obviously, the two candidates' message was very different in their tone and their rhetorical style and their proposals for how to fix this, but I do think this general sense of gnawing economic anxiety, kind of a post recession confusion here -- in some ways, it's ironic in New Hampshire. LAKSHMANANOkay. So definitely economic issues, although Trump voters also said in the exit polls they were worried illegal immigrants and the threat of a terrorist attack as well. Norm Ornstein, you've been following presidential campaigns for many decades. Put this in perspective for us. How important is what happened in New Hampshire? ORNSTEINIt's important, but it's not decisive. You know, these early contests in Iowa and New Hampshire are usually the winnowing out processes at work. What's interesting on the Republican side is it didn't work very well this time. In fact, it winnowed in candidates rather than winnowing them out. What a party wants is to quickly crystallize the process. For the Democrats, what you see is two contests early on that are not terribly representative of the Democratic party as a whole around the country and you get a skew and it's not always the case that winners in Iowa and New Hampshire go on to win. ORNSTEINBut they become extraordinarily important because they can raise up a candidate. And what we saw with Bernie Sanders is almost $3 million raised in a matter of four hours after the primary, giving him an enormous financial advantage and, obviously, a nice big boost out of there. But now, we move onto a very different set of states. And one of the things that's important to realize is that, uh, over 40 percent of those who voted in New Hampshire in the Democratic side were independents, that Sanders carried them handily. ORNSTEINThe Democrats split evenly. We move onto Nevada which is a closed caucus, only Democrats can vote. Then, you move onto a whole series of states, some of which are closed or semi-open where you can declare at that last minute as you could in New Hampshire, but Sanders is going to have to do better with the Democratic party base. And that's where New Hampshire doesn't really give us a strong picture of what happens to follow. LAKSHMANANAll right. Well, Norm, think back to six months ago when Donald Trump and Bernie Sanders were such dark horse outsiders that their candidacies were really, above all, curiosities to many in the media and the pundit class. How do we get from there to here? ORNSTEINYou know, I wrote a piece in August in The Atlantic called "Why This Time Might Be Different," and it was mostly focused on the Republican side, but it really was that we have a different set of characteristics that a lot of our pundit class didn't want to believe or thought just -- it would just be the same as it's been in the past. There's one word that's important to realize here, though, on both sides and that word, which is a powerful one, is populism. ORNSTEINWe're in a very strong populist era. We had it before. We had it in the late 1980s and early 1990s. It was the rise of Ross Perot, Pat Buchanan and Ralph Nader. Remember, Perot, after demonstrating some instability in his life, still got 19 percent of the popular votes, having lead the presidential contest earlier on. People are unhappy and dissatisfied. Populism brings with it a share of nativism. That's why the immigration issue now became the jumping off point for Trump. ORNSTEINAnd Trump and Cruz still are using that issue with great impact. As we move south, it will mean even more. We have a distrust of all leaders and in both parties, the disdain for establishment leaders is so palpable and we saw that play out with both the victories of Trump and Sanders. You see it if you read any of the things on Twitter, the blogs, the social media with their supporters. It's a visceral, guttural disdain for people who have been establishment leaders. LAKSHMANANAll right. So Susan, populism and working class anger, this love of the outside mentality fueled Trump's and Sander's victories. But what are their voters drawn to? Is it the outsider solutions or is it something much more fundamental, outsider world views? GLASSERWell, you know, there is a lot of visceral appeals even a sort of dog-whistling going on, you could say. Look at the content of a Trump speech. It is not a masterpiece of ideological consistency to say the least. He is a mishmash of proposals that are supported by the hard right and, actually, his previous past as a more middle of the road Democrat at time, so I don’t think it's ideological so much on the Republican side. GLASSERI think Bernie Sanders is a much more classic sort of left ideologue in terms of his appeal to voters this year. But I want to go back to something that Norm said 'cause I think it's really important. Does New Hampshire matter this year? The winnowing process, is it occurring or is it not occurring? How much did we freak out, basically, about this being, you know, outside of history? Pat Buchanan won the New Hampshire primary in 1996. GLASSERObviously, look at the list of Iowa caucus winners, same thing. You don't have a lot of future presidents there. So on the one hand, this is part of a well-established historical tradition in American politics. Let's remember that there were about 33, 34 percent of voters in the Republican field yesterday who voted for Donald Trump. That's a huge percentage who didn't vote for him. So that's where I think you have to look and dig into the Republican field and what's going on there to understand why Trump actually has a scenario for winning the nomination. GLASSERIt's not because he won New Hampshire. It's because of how divided and vicious the fight has become to become the establishment candidate against him. And right now, the winnowing in, as Norm said, is taking place, which means that -- what does it mean? It means that Jeb Bush isn't dropping out. It means that John Kasich isn't dropping out. It means that Marco Rubio isn't dropping out. So I think it's a significant outcome, but not the one that we expected. LAKSHMANANAll right. And as you say, Trump has the highest of the positives, but he also has the highest of the negatives and that could be a limiting factor for him. All right. We're gonna have to take a short break. When we come back, we will talk more about the results in New Hampshire and what they mean for 2016. Stay with us. LAKSHMANANWelcome back. I'm Indira Lakshmanan, sitting in for Diane Rehm. This hour, we're talking about last night's results in the New Hampshire primary, what they mean for 2016 with Norman Ornstein, scholar at the American Enterprise Institute and co-author of "It's Even Worse Than It Looks: How the American Constitutional System Collided With the New Politics of Extremism," and Susan Glasser, editor of Politico, and from New Hampshire Public Radio, Daniel Barrick former deputy director of the New Hampshire Center for Public Policy Studies, a non-partisan think-tank and politics editor at NHPR. LAKSHMANANSo before the break, we were talking, Susan, about populism, working-class anger. I have to ask you, the mainstream media and pundits were for months dismissing Trump and Sanders at best as supernovas, stars who would burn out with catastrophic explosions. Now Iowa and New Hampshire have come and gone, and these two guys are still burning bright. Do we have to rethink the possibility of an actual Trump or Sanders viable nominees? GLASSERYou know, it's funny, we had that headline on our site that we posted late last night, Trump versus Sander, what would that general election look like, and I think the mere fact that that still has novelty so far into this election season suggests how little we have taken seriously the possibility of these two getting their parties' nominations. LAKSHMANANIs it a real possibility? GLASSERIn my view, Trump remains a more serious potential nominee at the moment than Sanders, but I think that the scale of Sanders' victory in New Hampshire over Clinton was very worrisome. That was the surprising part of it. She did not really make up significant ground despite really aggressive efforts to do so after their almost-too-close-to-call contest in Iowa, which again she had been heavily favored, hung on by the skin of her teeth to win in Iowa. Over the last 10 days she didn't really make up ground in New Hampshire. GLASSERThose existing polls showed very disturbing trend lines for her, number one, and most disturbing of all, right, is the fact that I believe it was 55 percent of women voted for Sanders in the Democratic primary last night. That has been Clinton's main calling card. It is the theme that she fell back on as she was increasingly under attack in New Hampshire, and it did not deliver for her. She has not connect not just with young women but with women overall in a way that is crucial to the entire premise of her candidacy. LAKSHMANANSo she lost women by 10 points, in fact. All right, I want to come back to that, but first let's break down who voted and how they voted. Dan, the turnout of young people in New Hampshire, how did it compare this time to previous years? Because these are the young voters who really got behind Bernie Sanders, who ironically is the oldest candidate in the race. Why did they get behind him? BARRICKWell, they got behind him for a number of reasons. I mean, you heard a lot of -- we spent a lot of time reporting on college campuses and among younger voters, and the sweep there by Sanders was pretty broad and in many cases even wider margins than Obama did. So if you look at, if you want to try and measure his appeal, if you look at some of New Hampshire's college towns, he won in many cases by wider margins than Obama did eight years ago. BARRICKOn the Republican side, I don't think the generational divide for Trump was as stark as on the Democratic race. But one measure is -- I do think there was a lot of anecdotal evidence about first-time voters, new registrants coming to cast ballots brought out by Trump, which was a big question going into primary day was whether or not the Trump campaign's claims that they would expand the electoral map for Republicans would come true. I think at the very least, you can't dismiss that as an outcome yesterday. LAKSHMANANAll right, well, we have many of our listeners who are writing in and asking who had the better turnout in New Hampshire, Republicans or Democrats, and were these record turnouts? Dan? LAKSHMANANAnd this time they decided to go and vote in the Republican primary rather than the Democratic one, rather than eight years. BARRICKIn larger numbers, that's right. LAKSHMANANOkay, go ahead, you were saying. BARRICKOne other number that was interesting, too, is exit polls asked folks when did you make up your mind, how long ago did you make up your mind. Close to half the people who voted in the Republican primary said they made up their mind just within days, and only about a quarter or so on the Democratic side. Whether that's a result of, you know, a lot of attention on the Saturday night debate, where Marco Rubio was seen as having a very weak performance, whether that changed minds or whether that was independent voters at the last minute deciding the Republican race seems more interesting, more exciting, and therefore I'll cast a ballot there, hard to say but an interesting divide on that number, as well. LAKSHMANANAll right, Dan, you've been talking to the actual campaign organizers on the ground in New Hampshire. When did the Clinton team first realize that she might actually lose in the Granite State, which, let's face it, had a very special place in the heart of the Clintons. It got Bill Clinton's dark-horse candidacy going in 1992. And Hillary Clinton, let's not forget, came from behind to win there in 2008. BARRICKYou're right, New Hampshire is, and I don't think it's just campaign rhetoric, New Hampshire is an important place in the Clintons' political history. I think Clinton folks have seen this coming for quite some time, and you could perceive that in the expectation setting for the last few weeks. The line coming from the Clinton campaign for a while was we, you know, of course Sanders is going to do well in New Hampshire, he's -- you know, they would use terms like he's a native son here, he's been in elected office right next door for 25 years, which I think for anyone who really knows New Hampshire and Vermont politics, would see that as a stretch, to say the least. BARRICKThe notion that Bernie Sanders enjoyed some native son status I think would really surprise a lot of New Hampshire residents. But I think that was an indication that they knew that this -- the tides were against them, that they were running out of time to make up ground and that their best bet was to at least shrink the margin from what the polls were predicting. And I think as Susan mentioned, that was one of the big surprises of the night was that in fact the polls were right, that Sanders did in fact win by about 20 percent or so. LAKSHMANANYeah, I agree with you that Vermont and New Hampshire are so different in so many ways that it seemed laughable in way that their being neighboring states would be considered to be so important. But Norm, I want to bring to you, we've gotten several emails on the question of super-delegates. I'm going to read one here, someone who says, I was looking at the primary results and noticed something odd. With 89 percent of the precincts reporting, Sanders had 60 percent of the votes compared to Clinton's 38.4 percent, yet she had more delegates. I can only assume this has to do with the votes of the super-delegate. Is this fair? If I were a New Hampshire Sanders supporter, which this listener says they are not, I would feel very disenfranchised this morning. ORNSTEINWell, the delegate counts, as they work from state to state, are quite complex. And in the end, Sanders get more delegates out of New Hampshire than Clinton does but not by the margin that the vote would suggest. It's not simply super-delegates. It's a complex formula. You know, the number of delegates here is trivial, to be frank. New Hampshire is a tiny portion of the overall delegates. This matters more symbolically than it does in terms of delegates. ORNSTEINBut it raises a larger point from the caller, which is that Clinton has one other very sizable advantage here. Over 15 percent of the delegates at the Democratic convention are super-delegates. They're people who are automatically delegates because they occupy high office, House or Senate members, governors, state legislators and other state officer holders. Clinton has an enormous advantage there. ORNSTEINIf you look at endorsements in Congress, Bernie Sanders has two, two out of the entire Democratic delegation in the House and the Senate. Not a single senator has endorsed Sanders. The vast majority are being Clinton. So Clinton goes into a convention with a substantial base to begin with. And then as we move to states that actually have larger blocks of delegates, there too she has some advantages because we're going to moving into primaries where you have a very different mix of voters, more Democrats rather than independents, more African-Americans, Hispanics and Asians, where she does much better than a state like New Hampshire, where the minority vote was pretty close to a trace element. LAKSHMANANWell, that's a legitimate question right there. How representative is New Hampshire of the rest of the country? ORNSTEINIt's not. It's not for either party, actually, and, you know, for the Republicans you go from an Iowa, which has a very heavy concentration of Evangelicals and more radical conservatives, to New Hampshire, which is more in the wheelhouse of the core conservatives but much smaller numbers of Evangelicals than you find as you move further into the South. So they're not representative. What they are, of course, are places where you can do face-to-face campaigning, and you have to, and you show different facets of your character to voters, and of course a lot of people in these states are used to seeing candidates face to face over again. ORNSTEINAnd it's not a surprise or an unusual condition that you get a lot of people making up their minds in the last couple of days. They don't focus on this until the candidates are there, present, right in front of them. LAKSHMANANAnd shaking their hands in the famous style of retail politics, as we call it. All right, Susan, you mentioned the women's vote earlier. I want to go back to that and drill down on it. Hillary Clinton has dedicated much of her career to fighting for women's empowerment. How could she have lost women's votes to Sanders? Plus she spent the last week fighting off this label of being shrill, while when Sanders shouts at his rallies, it's seen as passion. Is she being held to a different standard even by other women? Why are they not supporting her? GLASSERWell, look, there was a huge contretemps over the Clinton surrogates who tried to make that argument on the campaign trail, Indira. They tried to go out there. Madeleine Albright, the former secretary of state, got enormous blowback for suggesting that there's a special place in hell reserved for women who don't support other women. And rather than sort of the sisterhood uniting behind that sentiment, there was an incredible criticism of Albright, of the Clinton campaign itself, and I think it really backfired in a way that took some older women by surprise. LAKSHMANANTell it. Remind us about that. GLASSERExactly. Even more controversial and basically suggested that Bernie's support among younger women was because the guys were supporting him. And, you know, that didn't go down too well, needless to say. It came across as basically one generation lecturing in a not very appealing way a younger generation about what they should do or what was in their self-interest. It really backfired, and I think that's the bigger picture right now for the Clinton campaign. Why is it struggling? Because it's on defense. GLASSERThe issue landscape was, number one, why are these older women lecturing younger women, and then number two, it was all about Bernie's case. He was relentlessly on message. He was all about Wall Street, inequality, Clinton's complicity with basically the powers that be. She was on the defensive on that. She never came up with a compelling response to basically the central critique that Bernie Sanders has lobbed against her. GLASSERShe took enormous sums of money from Goldman Sachs for two speeches. It seemed to hornswoggle her every time she was asked this question, and the entire turf was played basically on his landscape. If she can't change that, that's the bigger problem. I think Norm is right about the calendar advantage for Hillary Clinton. He's right about the super-delegate advantage. However, momentum and her inability to connect may override those advantages. GLASSERThat's correct, not even a Democratic Party member. LAKSHMANANSo can she get the women's vote back, Norm? ORNSTEINWell, I think she can do better. There's a very interesting -- it's not just generational, but there's an interesting generational divide here that we can talk about when we come back. LAKSHMANANI'm Indira Lakshmanan, and you're listening to the Diane Rehm Show. Go ahead, Norm. ORNSTEINMy wife. Went to do a deposition a couple of years later. The man refused to have the deposition taken because she was a woman, and her partner said, we told you couldn't be doing things like this. That generation said, well, okay, we just have to fight harder. And for Hillary's generation, it's a little bit like the civil rights generation of people who had to fight to get at a lunch counter, and then a younger generation just takes these things for granted. ORNSTEINAnd I think she's got some work to do to win over younger women who don't see that there's a danger to their reproductive rights. You know, the law school class at Yale had 10 to 15 percent women back then. Now it's 55 to 60 percent. So women don't vote for women just because they're women, and it's an extra burden, and calibrating your message is something that's a challenge for her. It didn't work well in New Hampshire. Now we'll see if she can make it work better down the road. LAKSHMANANSo the argument that the younger women take for granted all the advances that Hillary Clinton's generation fought for and, you know, we saw this written about in op-eds in the New York Times about how older women are favoring her more, younger women are not. But even some young -- even some older women are not favoring her. LAKSHMANANSome older women. Well, and here, too, you get this populist, anti-establishment feeling, the sense that the country's not doing well. And when somebody comes forward with a revolutionary message, it resonates with a lot of people, even if it's not practical in terms of what can actually happen. But that's a tide that -- it's something we've seen before in previous elections, whether that message was over we're going to end the Vietnam war, which led to George McGovern winning a nomination, the struggle between Eugene McCarthy and Bobby Kennedy back in earlier times. This is not a new phenomenon, either. LAKSHMANANAll right, well, Hillary Clinton obviously knows how to be a fighter. She has a long history of hitting up against very tough odds. So Susan, do you think that now going past New Hampshire she has the ability to win over the grass roots more, the women, the young people, more of the Democratic base? Let's put aside the super-delegates for a minute. GLASSERLook, you're going to hear a lot in the next few days about the retooled Hillary Clinton. She has an opportunity to roll that out as early as tomorrow night, when there will be a new and, of course, very highly anticipated debate between her and Bernie Sanders that sets up the next round of elections, which will take place in Nevada, Minnesota, South Carolina. And so I think we're going to be watching very quickly to see most importantly if she can counteract this devastating critique of her campaign that, in the words of a Clinton strategist, one of my reporters, we have no message. GLASSERIf your own allies say we have no message, and basically biography has been the message, I am a fighter, I'll work for you, I know how to get things done, I'm experienced, you hear a lot of I from Hillary Clinton, not so much around the what of what she's going to do. And so I think that is probably her biggest kind of message challenge right now. On the ground, by all accounts, she's been running a pretty strong and well-organized and more disciplined campaign than the one that she ran in 2008. LAKSHMANANNorman, in the minute we have left, I want to ask you, how often has a candidate lost New Hampshire and then gone on to win his or her party's nomination or the presidency? ORNSTEINIt happens quite a lot, and I'll give you one example. Bill Clinton was the comeback kid in New Hampshire. He finished second. But he still won the nomination. There's a good analogy here, which is Walter Mondale and Gary Hart. Gary Hart won New Hampshire. Walter Mondale was like Apollo Creed in the first "Rocky" movie. He'd gotten that roundhouse blow and was on the canvas. He managed to get up and ended up, over a long slog, winning the nomination. I think that's Hillary's path, but in this case Bernie Sanders has a lot of money and will get a lot more, something that wasn't quite the case back then. LAKSHMANANAll right, we're going to take a short break, but when we come back, we are going to your calls and to your questions about the New Hampshire primary. Stay with us. LAKSHMANANWelcome back. I'm Indira Lakshmanan, sitting in for Diane Rehm. We are talking about the New Hampshire primary results, what they mean for the 2016 race with Norman Ornstein, Scholar at the American Enterprise Institute, co-author of "It's Even Worse Than it Looks: How the American Constitutional System Collided With the New Politics of Extremism." And with Susan Glasser, Editor at Politico, and on the phone from New Hampshire, Daniel Barrick, Politics Editor at New Hampshire Public Radio. Daniel, I want to come back to you with the view on the ground there. LAKSHMANANYou covered the latest GOP debate in New Hampshire where Senator Marco Rubio was roundly mocked for repeating, nearly verbatim, talking points four times. His strong finish in Iowa was then followed by this relatively poor showing in New Hampshire. I want to ask you, do debates really change peoples' minds? BARRICKYeah, I mean, the timing of that certainly lends itself to that kind of questioning. And it was interesting. In the days after that Saturday night debate, a lot of the coverage focused on that exchange between Senator Rubio and Governor Christie. But you still saw, we were covering his events on the ground Sunday, Monday. He was still drawing big crowds, but I think one interesting thing to note is that he was -- Rubio maintained a relatively light footprint in New Hampshire through the campaign, unlike say John Kasich or Jeb Bush or Christie. Did not invest a lot of on the ground retail campaigning here. BARRICKSo, on one hand, I think maybe his strategy was to kind of just maintain -- you know, kind of hover in the background there, stay on everybody's top two or three list and have a big breakthrough. But I think the flipside of that is it didn't leave him with a big well of support, so when a bad night like Saturday night came along, there wasn't this real deep reserve of support that could withstand that kind of criticism. That he remained on everybody's top two or three list, but remained near the bottom of that. And I think his finish last night was one of the surprises. BARRICKJust how back in the pack he ended up finishing. LAKSHMANANAnd has certainly not come out punching as he had hoped to, as the establishment Republican choice. All right, Susan, let's talk a little bit about that circular firing squad that has emerged on the GOP side, of them attacking one another in their effort to knock out Trump. GLASSERWell, that's right. As Norm referenced, the winnowing has not really occurred in a way that has given more fuel to Donald Trump's candidacy. What do I mean? You still have John Kasich, the Ohio Governor, Jeb Bush, the Florida former Governor. And Marco Rubio, if wounded, still in the race. The three of them seem as determined to attack each other as they do to train their guns on Donald Trump. And I think that is probably the number one worry right now, here in the hearts of establishment Washington Republicans. That's what they're worrying about is that basically this fight goes on for too long. GLASSERAmong candidates who are wounded, who can't possibly win the nomination, but are determined to take each other out. We quoted one Rubio advisor this morning on Politico saying, South Carolina is gonna be a bloodbath. And a bloodbath against Jeb Bush by the way. These two, in particular, have turned very, very personal in their determination to knock the other out. LAKSHMANANAll right, well Norm, what are establishment Republican leaders saying to themselves today? We all saw that National Review magazine cover against Trump last week. Are any of the big name conservatives now going to eat crow and endorse Trump or how, if not, how do they breathe life into one of the establishment alternative candidates? ORNSTEINI think for the Republican establishment, the movie analogy is "Friday the 13th." LAKSHMANANOkay, explain that one to us. ORNSTEINMany parts. A horror movie where the outcome is bloodshed and mayhem. They don't know where to go now, because the real nightmare for them is that this could end up as a contest between Donald Trump and Ted Cruz. Now, my guess is, you know, it's interesting, if you go back to 2012, Mitt Romney was the single establishment candidate who could win. All the others formed their circular firing squad to become the anti-Romney. And it let him march through the battlefield, largely unscathed. Now, it's Trump and Cruz to a degree. ORNSTEINAnd it's the establishment ones going after each other. In South Carolina, I expect Bush to do a scorched Earth, Death DEFCON ONE against Rubio and Kasich. Now, the other nightmare for the establishment is you keep going on down towards Florida, which is a big prize and winner take all. And you could have the former Governor, the current Senator basically neutralizing each other and letting Trump win that slate of delegates. And then, you could go forward with Trump and Cruz, and the establishment is gonna have to choose basically between cyanide and carbon monoxide in terms of what their options will be. ORNSTEINAnd of course, there's a chance, it's still not a huge chance, that this might not get resolved until we get to Cleveland at the convention. People talk about a brokered convention. The establishment doesn't have brokers anymore and it becomes a wild thing for them, where they don't have control. And their hope that Rubio could make it work. There was a great tweet from, I believe, Maggie Haberman last night. LAKSHMANANFrom the New York Times. ORNSTEINThat Christie, what Christie did to Rubio was like a murder suicide. Christie ended up finishing at eight percent behind Rubio and is struggling and may not be able to last this out. But he's done deep damage to that establishment choice who has now gotten endorsements from a whole lot of people who have to be very nervous about what this means for their own power. LAKSHMANANMurder suicide because he took down Rubio but he took down himself, too. ORNSTEINTook down himself along the way. LAKSHMANANThe old cyanide pill that you were referring to. All right, let's go to a call from Kathleen in Peterborough, New Hampshire. Town motto, "A Good Place to Live In." I know it well. Kathleen, welcome. KATHLEENThank you very much. (unintelligible) and to see if responses or comments back from your guests. I have been doing some visibilities for Bernie Sanders and we're getting a lot of the middle fingers and screams of Trump at us. Not saying that the words came from the same person who gave the middle fingers to us. But I thought back about it. It's very similar to 1988 race when it was all -- the downed economy and people were so discouraged. So that aspect happened. And I was not surprised that Governor Kasich came in second place. KATHLEENI'd gone around to most of the candidates for campaign finance reform and watching, observing their reactions with me and with crowds. Kasich is the most sensible, logical Republican candidate they have on their agenda. LAKSHMANANOkay, thank you, Kathleen. So Susan, what do you make of Kasich's distant second place finish? His speech last night sounded like a victory lap. He spoke about magic and light triumphing over darkness. But he lost by 19 points. GLASSERWell, not only that, but basically, he's been a one state candidate, and he banked everything on a strong performance in New Hampshire. Correctly assessing, I think, that the state was probably the best fit for him early in the calendar. He didn't waste much time in Iowa contesting that. I believe he did 100 different town hall events there. He was really practically running for local office by the end of it. And, you know, Kasich, again, is a very classic fit for New Hampshire. A lot of people have forgotten, Paul Tsongas, back in 1988, or I'm sorry, 1992, running against Bill Clinton, he was the one who won in New Hampshire that year. GLASSERCame from neighboring Massachusetts. He was almost a Democratic clone of John Kasich in many ways. Same set of issues, same profile. I think the concern, really, is that Kasich hasn't built a campaign that either has the financing or the message or the organizational chops to really compete in the next stage of this primaries. And I think the person we haven't talked a lot about today is somebody we're going to be talking an awful lot about next week. That's Ted Cruz. LAKSHMANANAll right. Well, Norm, pick us up there. What about Ted Cruz? Does he have a better chance in South Carolina? ORNSTEINYes, he does. To me, if you're still rank ordering the possibilities to win a nomination, Cruz and Trump are the two very much at the top, with everybody else further behind. You have to keep in mind that in every survey done of Republicans, whether it's registered Republicans or activist Republicans or all Republicans, for six months or more, 60 to 70 percent of the preferences were outsiders or more radical candidates. Only 20 percent for the insiders. ORNSTEINSo getting that insider label, if it's Bush or Kasich, neither of whom are moderates, by the way. There are no moderates anymore. Kasich is a very conservative figure. But he is the only real compassionate conservative in the old George W. Bush category left. Is there room for something like that in this party? And Cruz now has a footing as we move into the South with the Evangelical voters, who are stronger there, where he did so well in Iowa. And Trump's gonna have to struggle a little bit with that group. ORNSTEINBut both will eat into what is a strong anti-establishment sentiment on the Republican side. Cruz has money and organization and perhaps the most sophisticated voter identification operation. Whether Trump can build a voter ID and turnout base remains to be seen. LAKSHMANANWell, you bring up an interesting point, saying that Kasich is not a moderate. Of course, he's a moderate in this race, in this particular spectrum, but you're in fact responding to a listener tweeted to me saying, please stop talking about Kasich as a moderate. He's incredibly conservative, a point you just made. ORNSTEINHe's a very conservative person. He's also an establishment institutional person. I knew him well when he was in Congress. He is -- and he is, you see in these debates, a good human being. You know, people call him a moderate, in part, because he accepted the expansion of Medicaid under Obamacare and said, I'm doing it not just because it's the money, it's the right thing to do for people. But if you look otherwise, he's very strongly pro-life, he has curtailed a lot of those abortion rights in Ohio. ORNSTEINHis fiscal plan is very much a strongly conservative plan. He's a conservative. But in today's GOP, where the center of gravity is more on a radical side, he is moderate compared to the others. LAKSHMANANYeah, well, you talk about what the spectrum is today. We have an email from Rob, who says, here's what your takeaway should be. We're not bluffing. We've really had enough of business as usual. That goes for Republicans and Democrats. So very much that outsider sentiment that you were talking about earlier, Susan. GLASSERWell, the same thing does apply on the Democratic race, for sure. Hillary Clinton, by no means, is a right wing conservative, the way that Bernie Sanders has portrayed her. And I think that some of what she's struggled with in the debate and in her response to the Sanders attack on her left, is a sense of sort of bewilderment and outrage, like hey, I'm a progressive. I fought for these causes my whole career. It's not going over well because of her style. She's a work within the system person. John Kasich is a work within the system person. Jeb Bush is almost the personification of the system. GLASSERAnd that's what people are up against. It's not so much ideology. It's style. They want people out there saying, we're going to burn the house down. I'm really struck by the fact that you have, on the one hand, Bernie Sanders. He talks about his political revolution in every single one of his speeches. He did it again last night and the same breath, practically within the same sentence, he says, but don't be scared. Don't worry. I'm not too radical in my proposals. Now, of course, revolution by definition is a pretty radical thing. But the voters aren't out there with their pitchforks demanding consistency at this point. LAKSHMANANI'm Indira Lakshmanan and you're listening to "The Diane Rehm Show." Yeah, we have a caller, Barry, from Culpepper, Virginia, who points out that Bernie talked about the oligarchy last night and pushed back against the perceived oligarchy is what's fueling both his and Trump's appeal to what you said earlier. All right, Susan, one of your reporters at Politico tweeted out last night that only in Presidential campaign punditry do people cite statistics based on a sample size smaller than a bag of M & M's. All right, maybe a very large bag of M & M's, but still, we're talking about a few hundred thousand voters, not a huge slice of America. LAKSHMANANSo, you know, how much stock should we be putting in last night's results? GLASSERWell, look, this goes back to the four year question about Iowa and New Hampshire and the sort of chokehold they have on our national political imagination. These are unrepresentive states. The process is rigged. We went back and looked, by the way, at the mess that was the Iowa Democratic caucuses. I mean, this is like practically, in sort of Florida, a butterfly ballot territory. So, there's lots of reasons to question the nature and validity of these results. However, we have a pretty long experience that suggests that it's the process of subjecting these candidates to this horrible trial by fire that is withering, really, in its assault. GLASSERLook at what's happened to Marco Rubio in the last 10 days, you get a sense of how withering this trial can be. And I think it's the crucible effect that really matters. That could happen, not in Iowa, New Hampshire, it could be in two other states, but I think that it's come to be integral to the process and is unlikely to go away anytime soon. LAKSHMANANAll right, let's take a quick call from Steven in Collinsville, Alabama. In the moments we have left, Steven, go ahead. What's your question? STEVENYeah, I grew up in (unintelligible) now playing for the Georgetown Hoyas, but this crucible, this withering effect on the Bush family, Bush 41 denounced the John Birch Society in 1966 in Harris County, Houston Texas. But now, that Baptist Fundamentalist Group, he came to embrace in '88. And Paul Kressler, who is solidly in the camp of Ted Cruz now. So it's going to be interesting, in Republican political history, to see how this all plays out for Bush in South Carolina. LAKSHMANANOkay, thank you very much, Steven. Norm. ORNSTEINWell, there, you know, there is a Bush history in South Carolina. And it's one that moves candidates sharply further to the right. The question here is whether Jeb Bush can pull out of the playbook the same thing that W. did in devastating John McCain with what was, if it didn't come directly from the campaign, it certainly was with a wink and a nod, a pretty scurrilous attack on McCain of having a child out of wedlock of another race when it was an adopted child from Bangladesh. ORNSTEINIf we get that kind of a campaign, it reinforces another phenomenon here, which I think the caller is eluding to, which is this process pulls the candidates further towards the extreme. And that's true in both cases, but much more on the Republican side. To win a nomination, you have to win over people who are not just angry, but more radical. And as you move in that direction, Rubio's moved sharply in that direction, it becomes much, much harder to move back. ORNSTEINHillary Clinton's tried to walk a more refined path there, using more rhetoric than changes in policy positions. But it's a challenge for both. LAKSHMANANQuickly, Norm, one person who was probably watching the results last night, really thinking about his own future, Michael Blumberg, billionaire media magnate, and former Mayor of New York City. What effect would he have if he entered the race? ORNSTEINWell, of course, he could spend a few billion dollars and it wouldn't touch him at all. I wrote a piece a couple of weeks ago in the Washington Post saying an independent would be a disaster. And the reason is, you simply can't win a majority of electoral votes in the country, the way we have it with the structure the way it is. That means the best you can do is keep somebody else from winning a majority. Throws the election to the House of Representatives. Top three in electoral votes compete and they vote by state. 33 states with Republican majorities right now. ORNSTEINYou're not going to get an outcome that's gonna leave the country feeling as if it's been legitimate. LAKSHMANANAll right, Susan, one minute left. What will the candidates be doing between now and South Carolina? Hillary Clinton already seemed to be pivoting that way last night in her speech, referring to African-American voters. GLASSERAbsolutely. There's no question, you're going to see from Hillary Clinton appeals to black voters. You're going to see re-organization, potentially bringing in new staff to her campaign. You're going to see this debate tomorrow night. By the way, Bernie Sanders, first stop, what's he doing? He's going to Harlem this morning to meet with the Reverend Al Sharpton. Why is he doing that? Because he's trying to pivot to the states of the South, more diverse states of the West where he is not as strong. LAKSHMANANWhere Hillary Clinton has tended to do better. LAKSHMANANAll right. Susan Glasser, Editor of Politico, Norman Ornstein, Scholar at the American Enterprise Institute, and Daniel Barrick, Politics Editor at New Hampshire Public Radio. Thank you so much to all three of you for joining us after a late night watching the New Hampshire results. And thank you all, to all you listeners, for tuning in. I'm Indira Lakshmanan, sitting in for Diane Rehm.